After a day long of enjoying Arcadia, it's time for more sun and the sea, but this time at sunset. The famous Alfred Hitchcock once said that he had never seen a sunset so beautiful as the one in Zadar, but we guarantee that you will see an even more beautiful one! The sun's rays at sunset will shine their light on you as you glide on perfectly peaceful waters. After that, with expert guidance, you will be going on a real adventure at night. 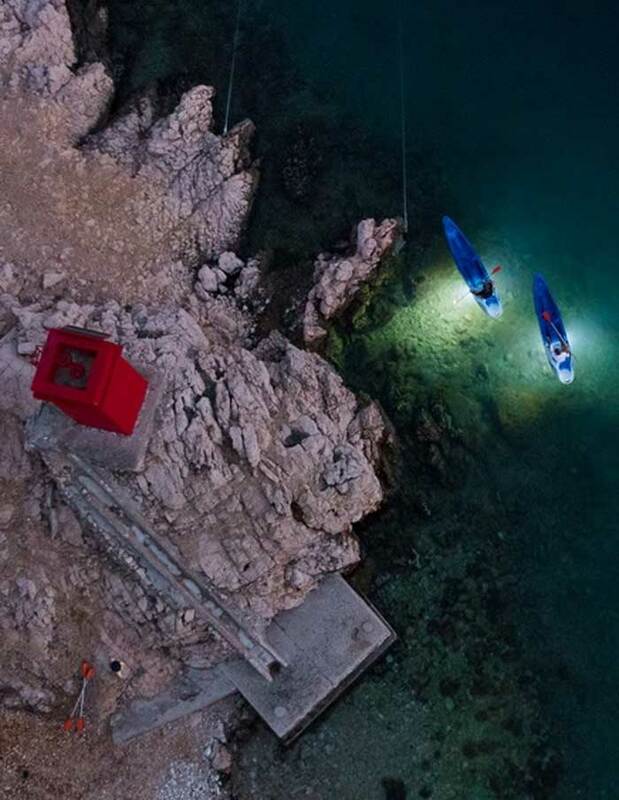 After the sun sets, under the moonlight, you will see the Adriatic with a new pair of eyes. Just when you thought it could not be more beautiful and magical, it will surprise you once again. 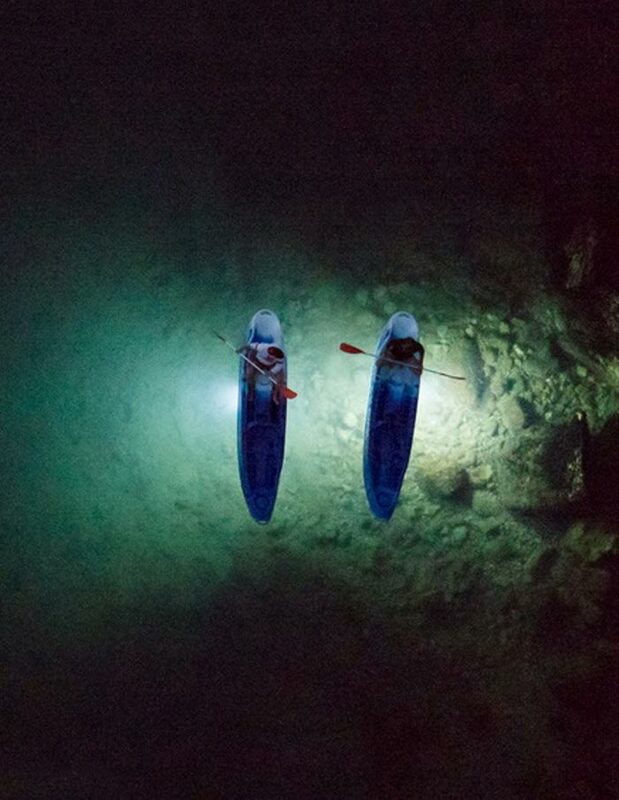 Kayaks equipped with LED lights will make the picture even more special because you will be able to see everything that is happening under the sea surface at night through the aureole around your kayak. The light will bring the animal world to the surface, and the sea floor will look completely surreal. 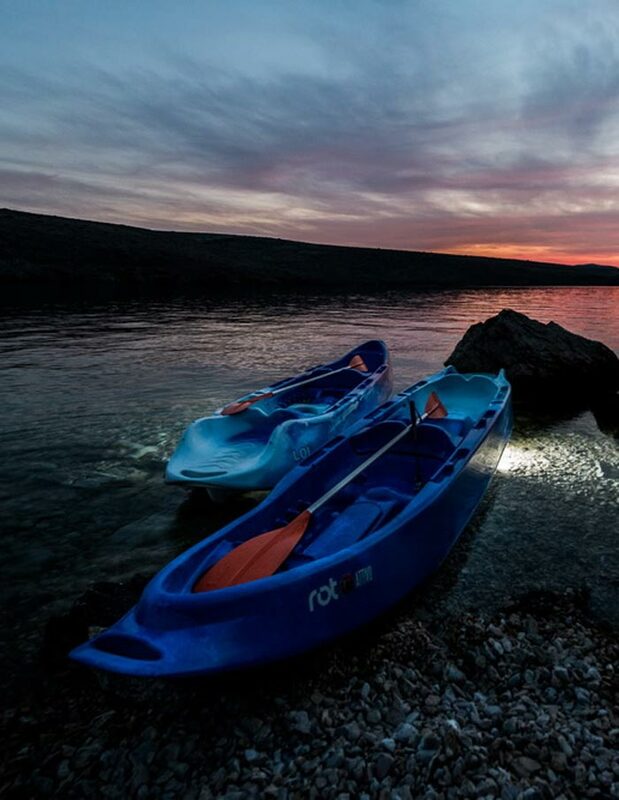 This activity is available to everyone and even to those who have never been kayaking, since there is a short kayaking course before the departure. 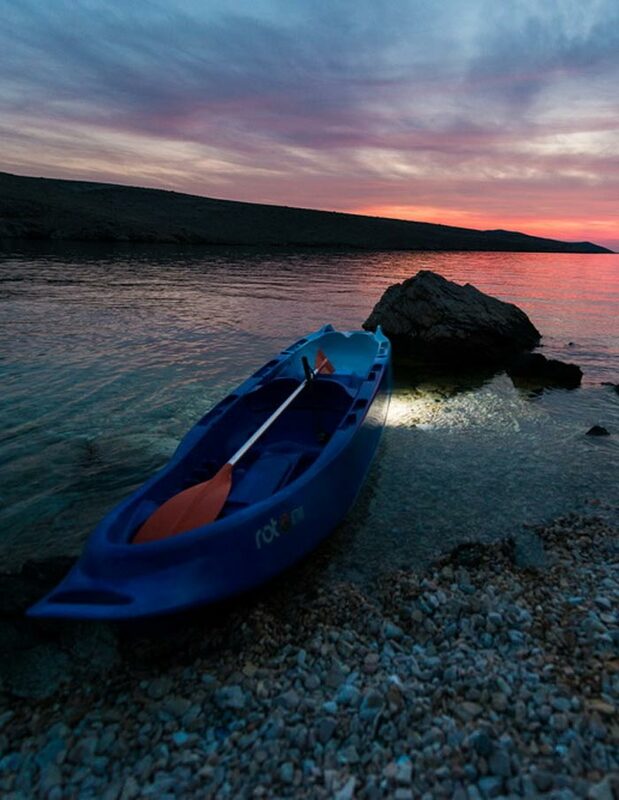 You have nothing to be afraid of, the night in the kayak will drive away all you fears and show you darkness in a completely new light! Join us in this romantic and exciting night ride under the stars!